Nala local municipality will spend R2-million to completely phase out the bucket toilet system. Acting technical manager, Phillip Modisadife said while the municipality has already eradicated 4 000 households bucket toilets in the municipality, a decision was made to spend R2-million more for the total eradication of the bucket system in Monyakeng, Wesselsbron. “Currently, bucket eradication is still not completed in Ward 2 and Ward 3 in Wesselsbron settlements, where about 2 000 household still use bucket toilets. However, those households already have flush toilet structures but only waiting for connection to the main line. 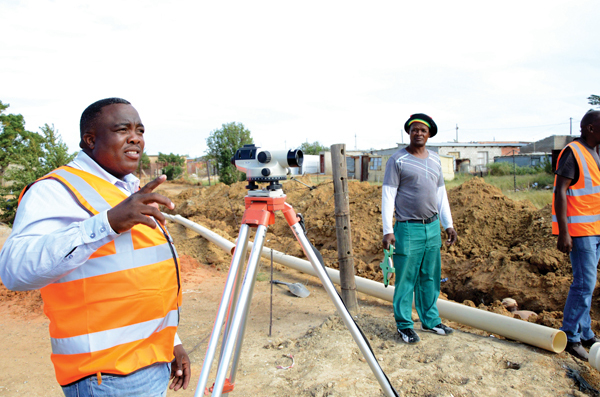 “The construction of the main sewage line in the two wards and connection of toilets is scheduled for completion in May this year,” said Modisadife. The municipality’s eradication project started in 2007 with two phases. Both phases were completed in ward one and ward four which saw 4 000 households connected to the main sewage line. 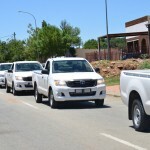 He said after the completion of ward two and three, the municipality will resume with a rectification process in wards one and four, where the job was not done properly. He said the municipality will need more funding of about R6-million to rectify the shoddy workmanship.